The protest rally "For fair elections" on Moscow's Sakharov Avenue | Russian Legal Information Agency (RAPSI). 17:04 26/12/2011 The protest rally “For fair elections” is winding down on Moscow's Sakharov Avenue. 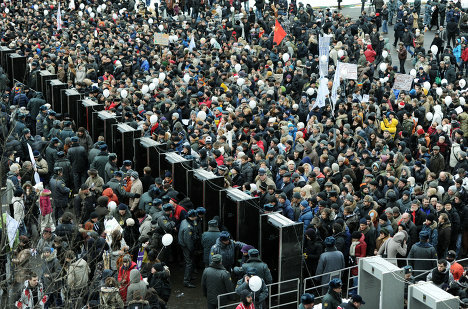 The Moscow Interior Department said about 30,000 people had gathered for the rally.